Capadia Designs: So Many Awards -Thanks! 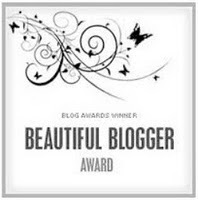 I am honored to have received quite a few blog awards over the last week or so. I tried to get organized to acknowledge them all and found some older ones that I hadn't had a chance to acknowledge - so here is a great big award post! 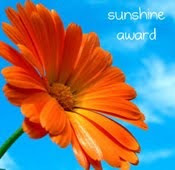 JeanneLee at My Tinhair Musings sent this Over the Top award a while ago - sorry it took me some time to catch up with it. Whew! It is a more than a little overwhelming to receive all of these awards - I apologize to some of you for not acknowledging them right away. Unfortunately, I don't think I can possibly do all of the lists of fun facts, answer the questions and all of the other requirements for the awards. Between the fire in our neighborhood and the nasty cold/flu I have had I am just trying to keep up with all of my commitments, including the daily post here that most of you expect. 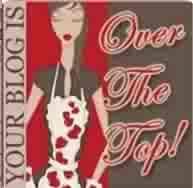 Please take some time to visit these bloggers and see what they have been doing. There are so many great sources of inspiration in the blogging community. I am always amazed at what I find if I get a chance to browse around. 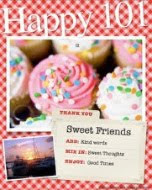 I appreciate all of the people who read my blog, subscribe and follow. 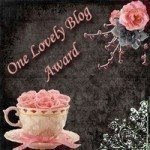 You are all worthy of an award, so if you have not received any in this round of blog awards going around right now, please choose an award, go to the blog of the person that gave it to me to see what it is all about and start your own wave of awards. I am sure you will find many interesting things once you start following all of the links. Thanks again to everyone who sent me an award - I am honored that you thought of me. Be sure to check back a little later Thursday morning to see my projects for the Cuttlebug Challenge Blogspot Sweet Treats Thursday. You will be doing a bit of blog hopping to see all of the projects the Design Team came up with for our St. Patrick's Day theme- have fun! You deserve it!!!!! Your blog is fantastic, and I have said it before, your detailed explanations make projects so much easier, and all the extras you let us know...is wonderful! You should also get the WOW award. Thank you for sharing with us and giving your time to inspire people like me. Yay! Congratulations on winning all of those awards! Everything is so fantastic! I did not know which to read first- "Everyday Cricut" or Capadia. What a dilemma.